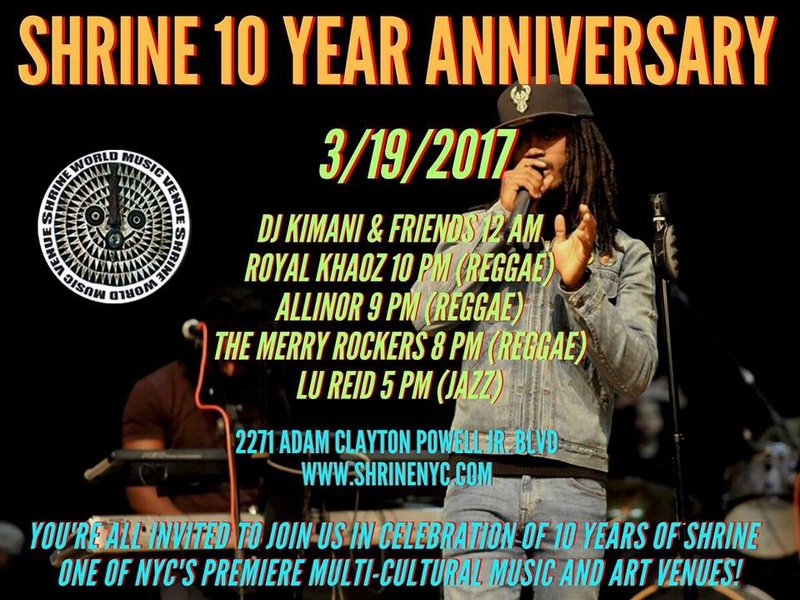 Shrine World Music Venue in Harlem turns 10 | HarlemGal Inc.
One of the best places to listen to live music in New York City is getting ready to celebrate a decade of existence, that’s Shrine World Music Venue in Harlem. They are celebrating their ten year anniversary this Sunday, March 19. Details are below and all are invited! Be there or be square! This entry was posted in Bars, food, Free!, Harlem, Harlem bloggers, Harlem blogs and tagged Harlem Blogs, Shrine World Music Venue Harlem, Things to do in Harlem. Bookmark the permalink.